« Chicken Fight at the Blue Angels! 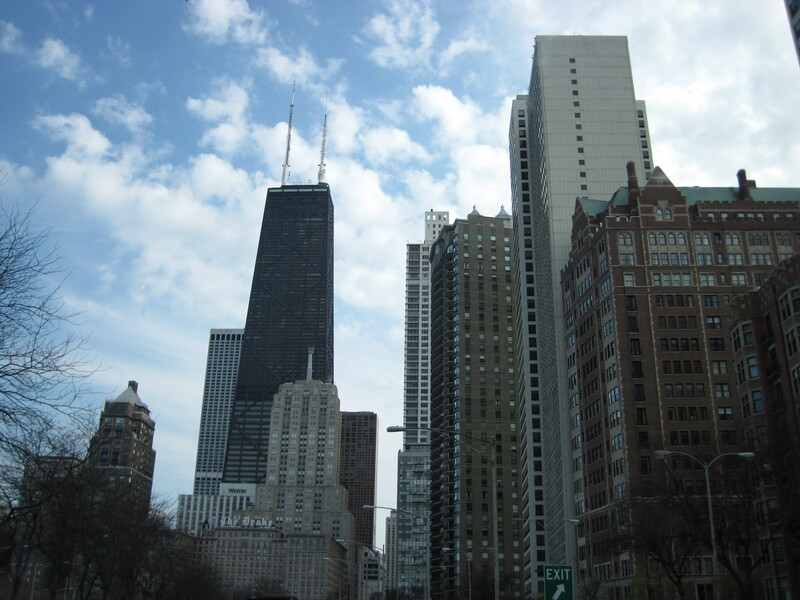 At the beginning of May, we headed up to Chicago so that Zach could go to a work conference. We went early in order to visit his sister and her family over the border in Indiana for a few days. Here are some photos of our adventures. 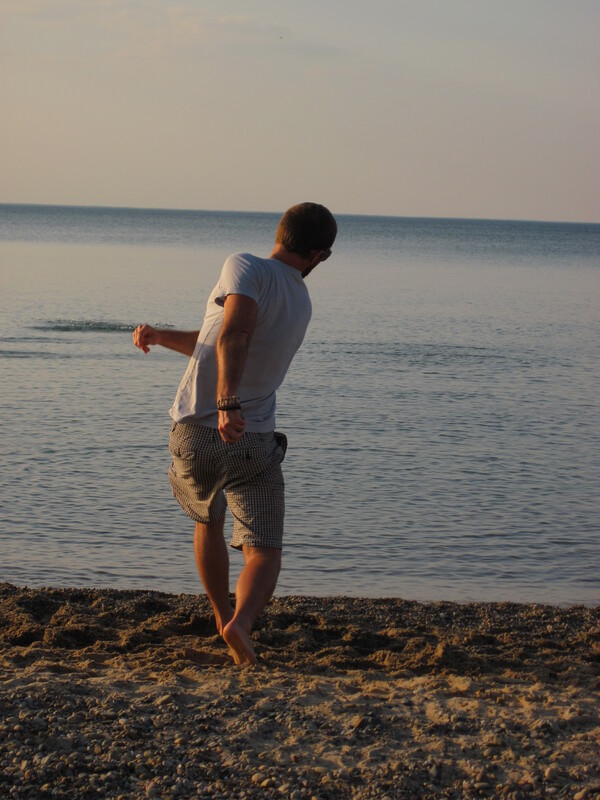 Our first visit to Lake Michigan. The Boogedy couldn’t believe that water got that cold without being ice. 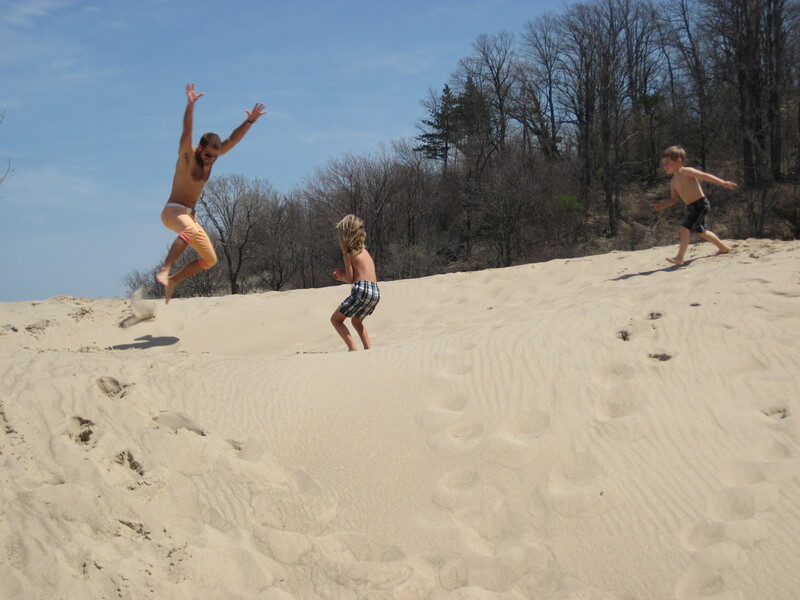 Zach and The Boogedy and Cousin J jumped all over the giant dunes at Indiana Dunes State Park. 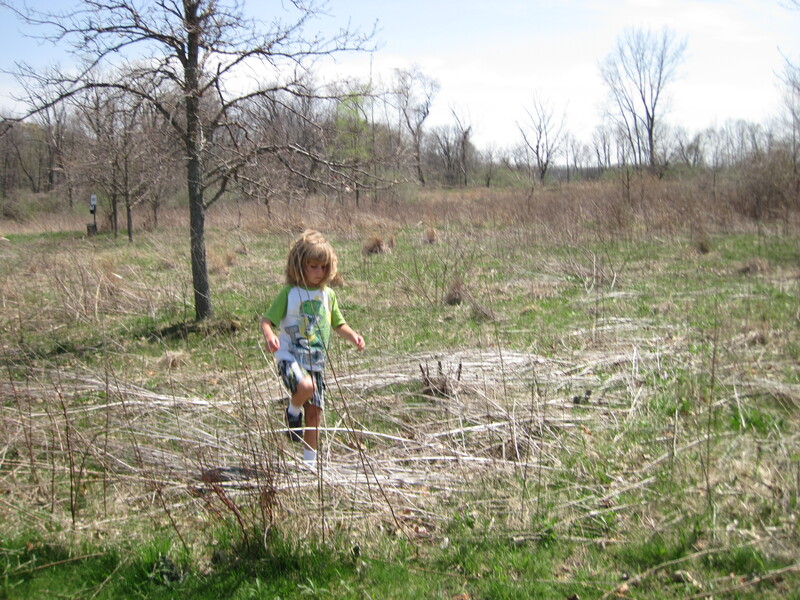 We went for a short hike at Coffee Creek, where we found an earthworm and offered Zach’s sister Sarah $50 to eat it. She declined on the grounds of being vegetarian. Later, though, she confessed that worms just give her the heebie-jeebies and it was all she could do not to gag at the mere thought. 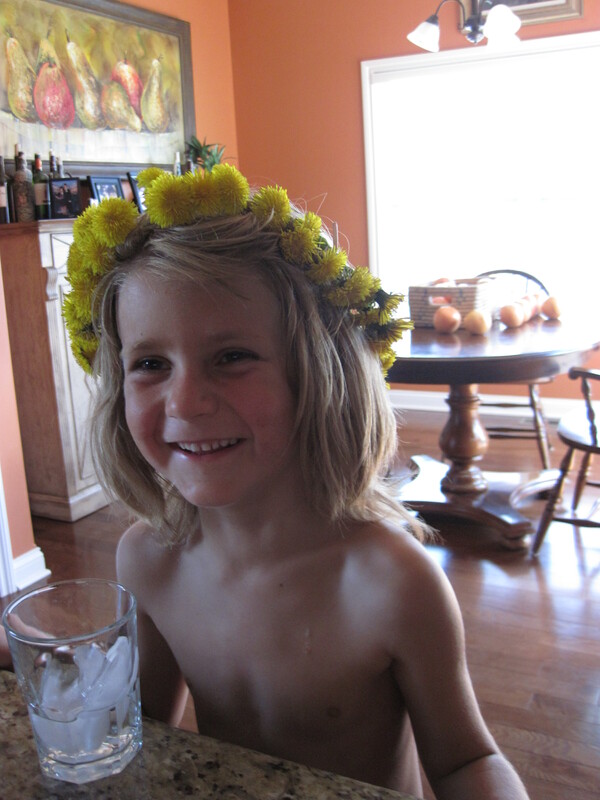 I picked dandelions during a walk through the neighborhood and braided them into a sticky crown for Prince Charming. After Zach left for the Windy City, that left me and the Boogedy with a few days to spend with the cousins. 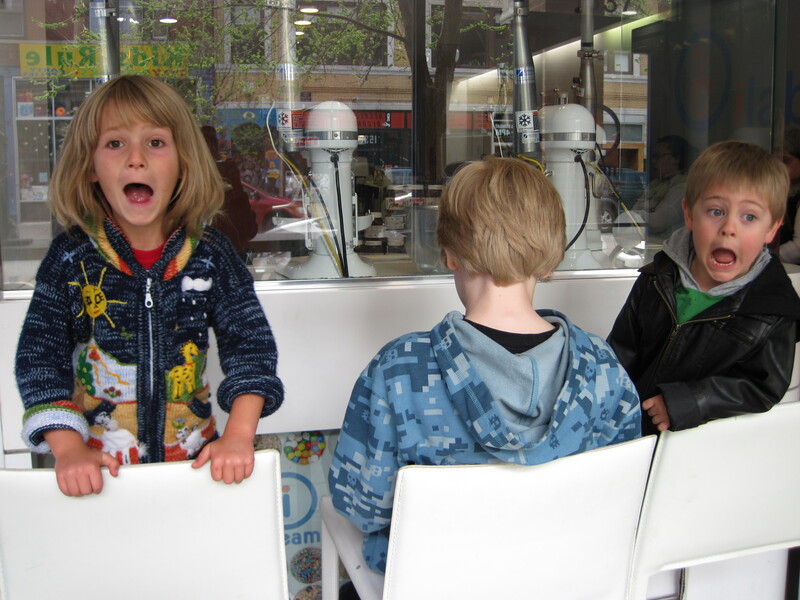 We went to iCream, where you can design your own ice cream. You choose your base (ice cream, non-fat, soy, yogurts), your favorite flavor, your favorite color (it’s very popular to choose the “wrong” color for a familiar flavor), and toppings. Here is the Boogedy, and cousins S and J, waiting for their treats. The little boys are thrilled. Anyone with a teenager knows that the big kid is playing video games. Here the worker is adding the custom mixture to the Kitchenaid. 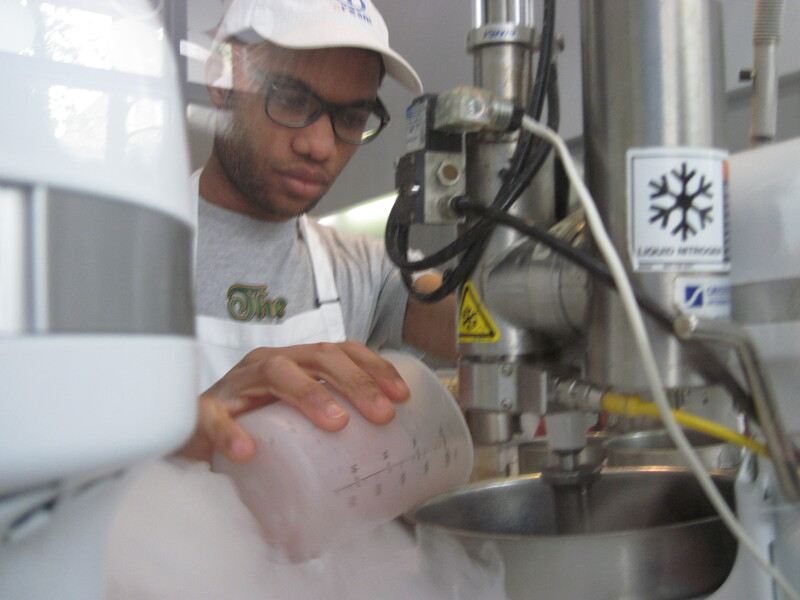 On the left you can see the vapor from the addition of Liquid Nitrogen (! ), which freezes the ice cream fast. 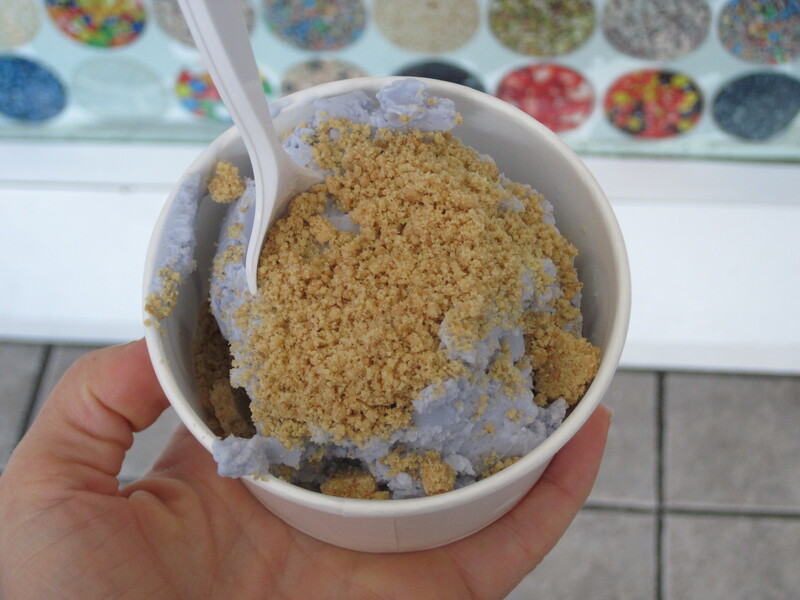 I chose Key Lime with graham crumbs on top, dyed purple. You know, because that’s just not right. I got the serious jitters from this snack. And I mean bad. I wonder how much sugar or chemicals this had! Aside from the fun-factor, I wasn’t impressed at the deliciousness. 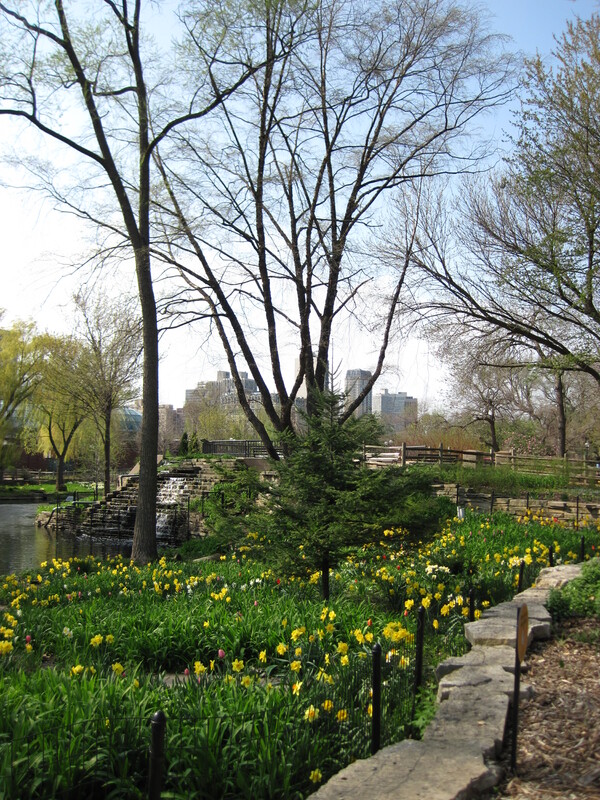 After the treats, Sarah and I took the boys to the Lincoln Park Zoo, which was very nice. I loved taking a spring vacation. Before I moved to the tropics, spring was always my favorite season. Nowadays, I don’t get to see tulips, daffodils, and chartreuse willow trees. It was lovely! Sarah drove us home via the scenic route, along Lakeshore Drive. She used to have an apartment in the John Hancock building, the one with the two antennae. 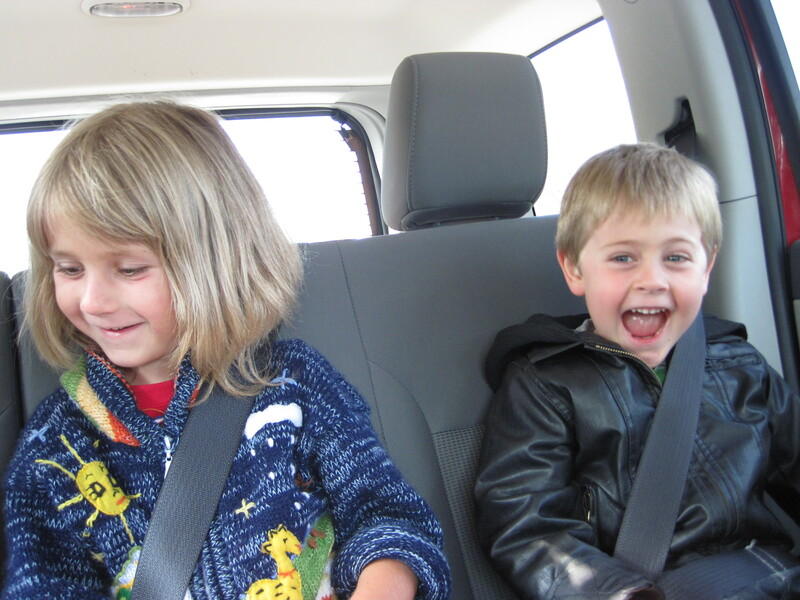 These boys are the giggly-est, and did great on all car trips. Sarah, Todd, and I hung around drinking Lattes (from Todd’s super-fancy espresso machine) and Greyhounds (fresh-squeezed grapefruit juice and vodka) and letting the kids play. We’ve known each other for about 18 years, and it’s always fun to catch up. On our last day of vacation, we all headed back into town to meet up with Zach and walk through Chicago. 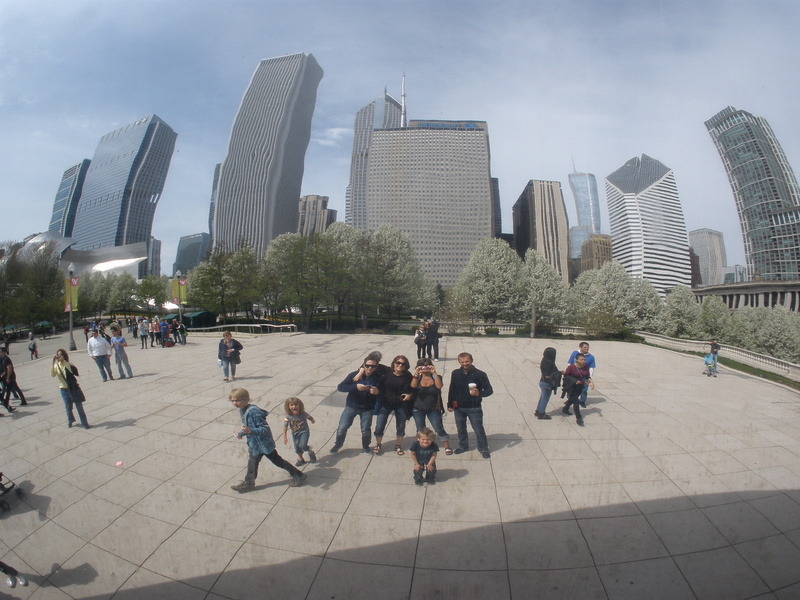 We loved The Bean, though I kept losing track of my kid. It was very disorienting. 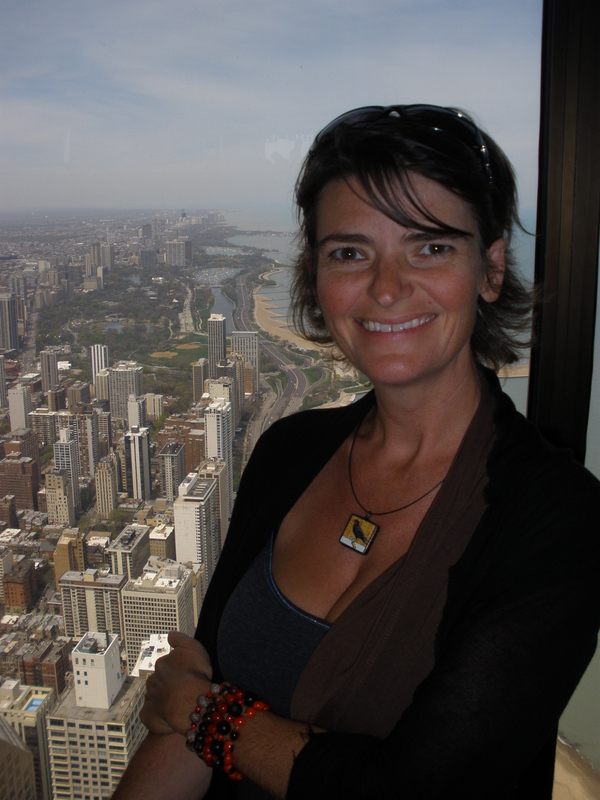 Then, we walked along the Magnificent Mile to the John Hancock building, where we rode the elevator to the 96th floor for drinks! I look relaxed in this photo but I was WRECK. I don’t care for heights and the view was, literally, breathtaking. I love visiting family. Thanks for hosting us Sarah and Todd! I am looking forward to a big family reunion in scenic Southern Utah later this month, and short jaunt afterward to Texas to visit my sweet mom and sisters. now you should ALL come visit me in st croix!! !